Ok, this mascara is amazing...so amazing that I've reached for it for weeks now instead of my (wait for it)..Lancôme Hypnose drama mascara...yes it's that good! Only $2.99 with natural traditional curved brush like we have classically have seen before BUT the difference is the formula. 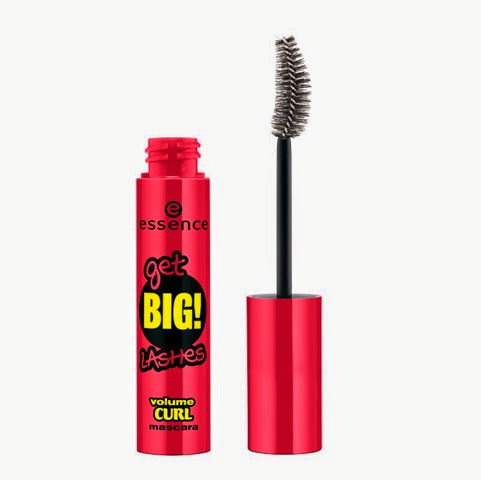 It's a thick but not too thick fluid mascara that actually curls and maintains curl all day. It applies beautifully and you can apply many layers and it does not get clumpy or so thick that your lashes become so heavy they just get limp. This mascara adds volume, curl and length. Hands down one of my favourites! I am actually shocked with how well Essence products are since they are so cheap! I bought a mascara similar to this, and it was actually in my top 5 favourites! Will have to check this one out too!